What might otherwise have been an a-political poetry reading as part of a festive Bengali cultural evening in Astoria earlier this year took on a somber tone when the organizer, HassanAl AbdullahÑeditor of Shabdaguchha magazine and a noted poet - paid reference to an incident Feb 27, 04 when one of the major literary voices of the contemporary Bengali Literature, Dr. Humayun Azad, was attacked. Abdullah, who had invited American-born poets Stanley Barkan, Arthur Dobrin, George Wallace and Robert Dunn, and Russia's Aleksey Dayen to read at the festival, informed the audience and his fellow writers that Dr. Azad had been stabbed in the face and back of the head, in an attempt family members alleged was by a fundamentalist group in Bangladesh to kill the 56 year old poet, novelist and author of more than fifty books. The news cast a somber tone on the day, yet it gave Abdullah and his guests an opportunity to pay deference to the bravery of a fellow poet living in an environment where raising one's voice in verse carry with it considerably more danger than simply being ignored by the mainstream. "He was called infidel by the fundamentalist groups after writing the book Nari...(and) now they are trying to kill him for his latest novel, Pak Saar Jamin Saad Baad, and a book of essays on Fundamentalism," said Abdullah. 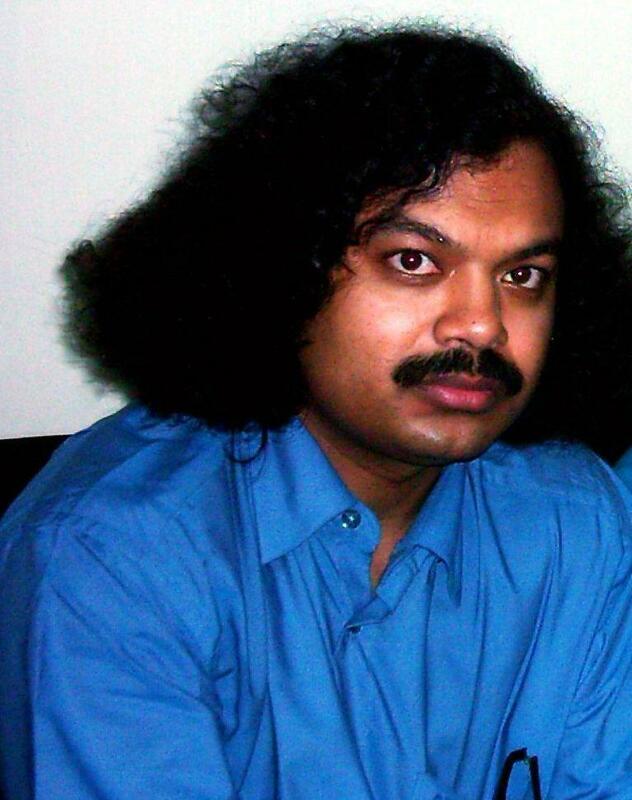 Hassanal Abdullah, who describes Dr. Azad as "the last brave writer of BangladeshÑwho can point his finger and speak noting but the truth", is a poet and novelist of some note himself, credited with having introduced a new way of writing sonnets, which he terms "Swatanatra Sonnets," into his native language. A High School math teacher for the New York City Board of Education who has taught math and Computers at Laguardia Community College, he is the author of six books of verse, a novel, and a textbook on Bengali rhetoric and prosody. While the attack on Azad is an outrage, it is not unprecedented in Bangladesh. Several reports have surfaced in recent years of threats and attacks against liberal Bengali writers. In 1999 Poet Shamsur Rahman was attacked in the privacy of his own house. The attemptwas attributed to a group described as a Bangladeshi Taliban, and part of a plot to kill at least 28 prominent Bangladeshi intellectuals. A few years earlier fundamentalist religious leaders issued threats to Taslima Nasrin, a female Bengali writer who took up the women rights issue. After her passport was revoked by the government, she went into hiding and escaped to Sweden where she obtained asylum. And Dr. Azad had not escaped official and unofficial threat prior to this year's incident. In 1993, the Bangladesh government banned a book of his entitled Nari, in which he dealt with the subordinate and subservient position of women in Islam. 'Pak Saar Jamin Saad Baad' was published on November 20 2003, resulting in a backlash among fundamentalists. On Dec 12 a religious group led a demonstration at a national mosque calling for Azad's arrest and trial, and on January 25, a lawmaker demanded introduction of a blasphemy act in parliament to block the publication of books like it. "He was always against fundamentalism," said Abdullah. The poetry component of the Bengali festival in Astoria was followed up by a demonstration in front of the United Nations, protesting the attack on Dr. Azad, arranged by Abdullah. The demonstration drew the attention of Azad's wife, Latifa Kahinoor, who thanked the poets, writers and intellectuals that participated in the demonstration in freezing weather in a telephone conversation with Abdullah. "She said, 'It proves how much you love Bangladesh, freedom of a writer and above all Dr. Azad,'" noted the editor of Shabdaguchha. "She said, 'Your activities are well regarded here especially by the Humayun Azad family.'" In the meantime, concludes Adbullah, the challenges to writers in Bangladesh remain daunting. "The secular poets and writers of Bangladesh are in the worst thread of their history," he says. "Before the war ended in 1971, the Pakistani Military and the collaborators, who were trying to ensure the extension of Muslim brotherhood, killed several hundred intellectuals. Over the years, through the killing of the father of the nation, Mujib, his family members, and other distinguished national leaders, the fundamentalists have become even more powerful, dreaming to make Bangladesh a pure fundamentalist warehouse. Some sources say more than 100 writers, poets and professors are in their list."